Calling all cheerleaders, dance team members, sports fan, school teams! 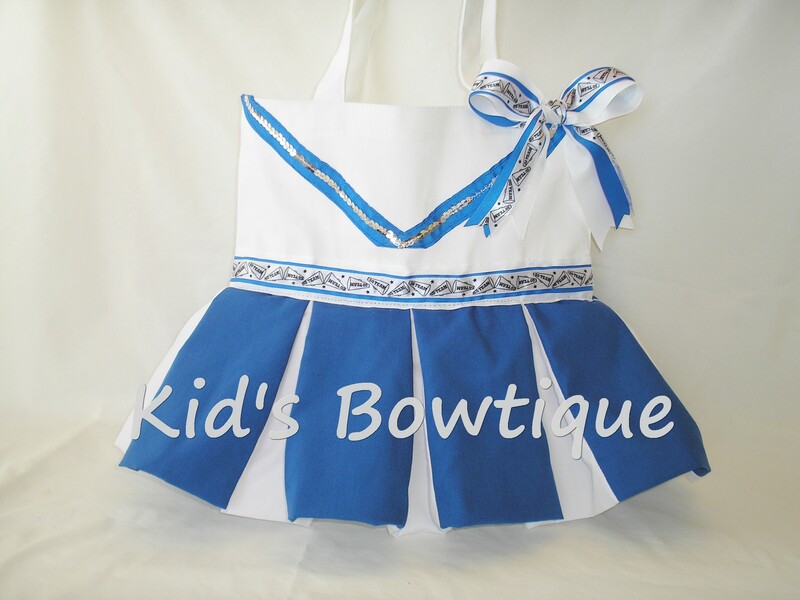 Kid's Bowtique has created a new tote bag perfect to show your team spirit. 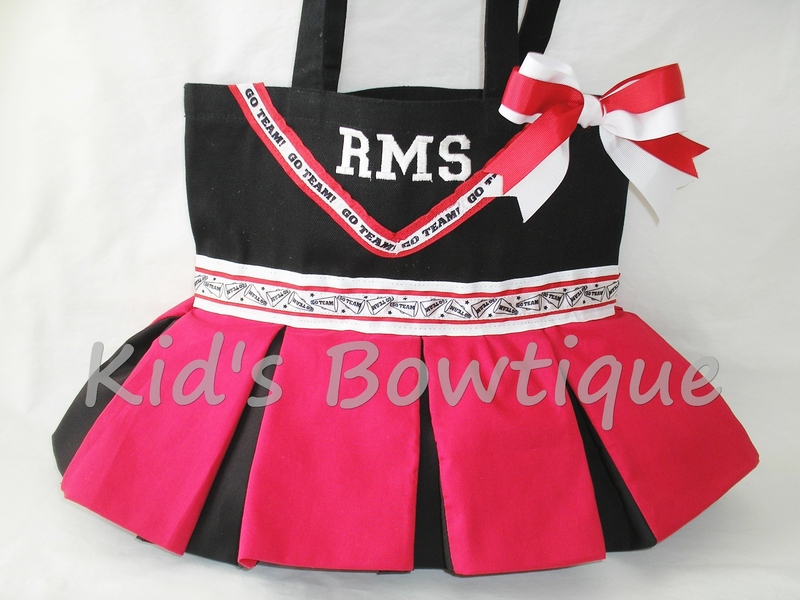 Let us create a bag for you to match your school/team colors.